Ruslan Three star club has won the title of Ruslan Simara Gold Cup for the first time. 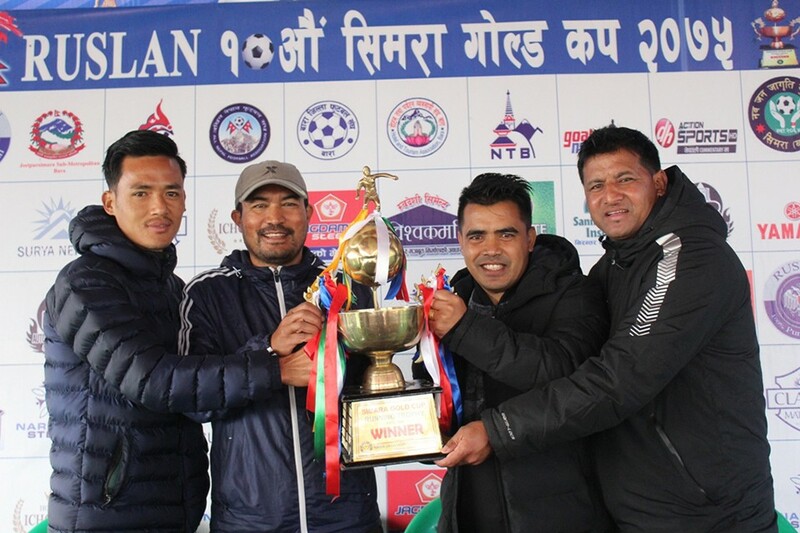 In the final match of Ruslan 10th Simara Gold Cup played at Simara Stadium on Saturday, Three Star Club defeated Defending Champions Nepal Army Club on sudden death. 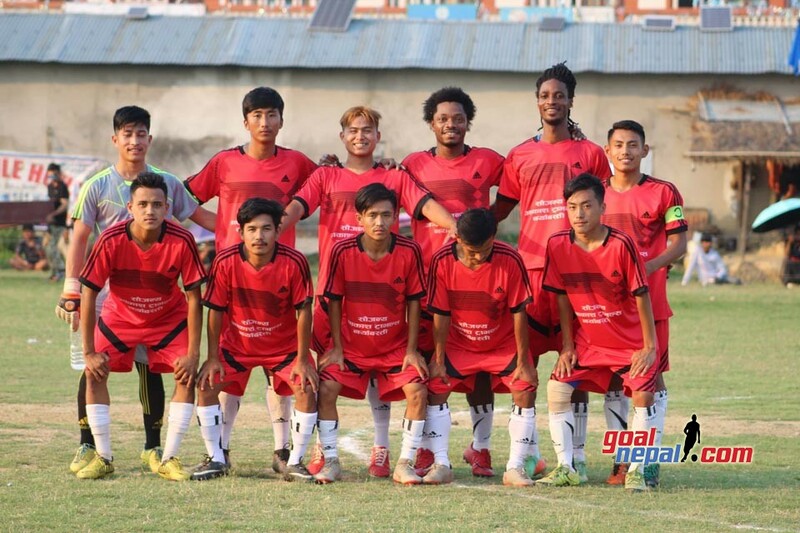 Three Star Club goalie Alan Neupane became the man of the match. He received Rs.10,000. 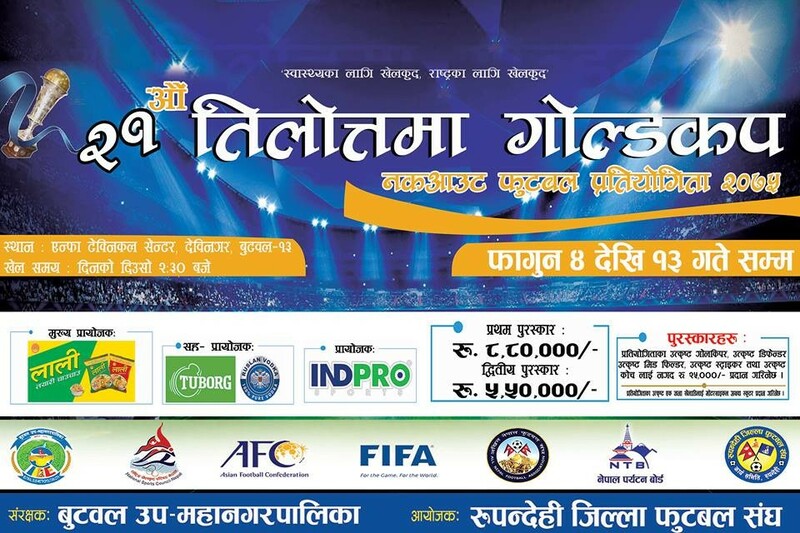 Nawa Jana Jagriti yuwa club organized the championship. 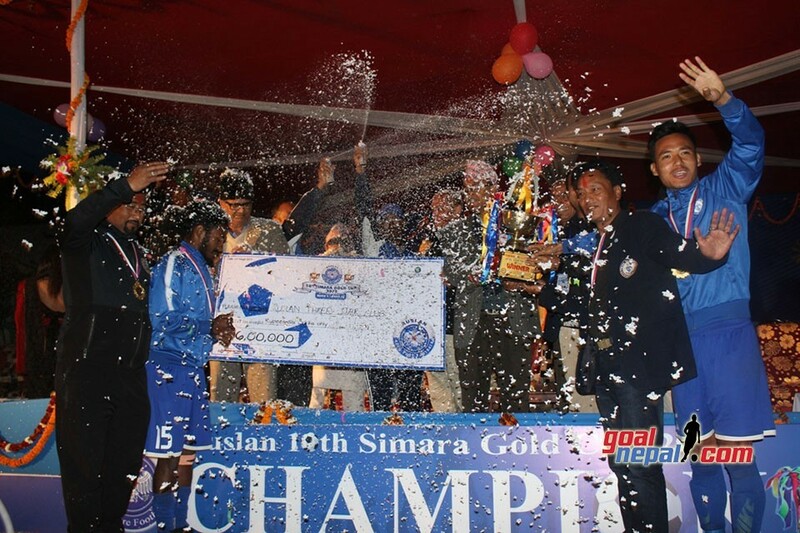 The winning team bagged six lakh rupees. 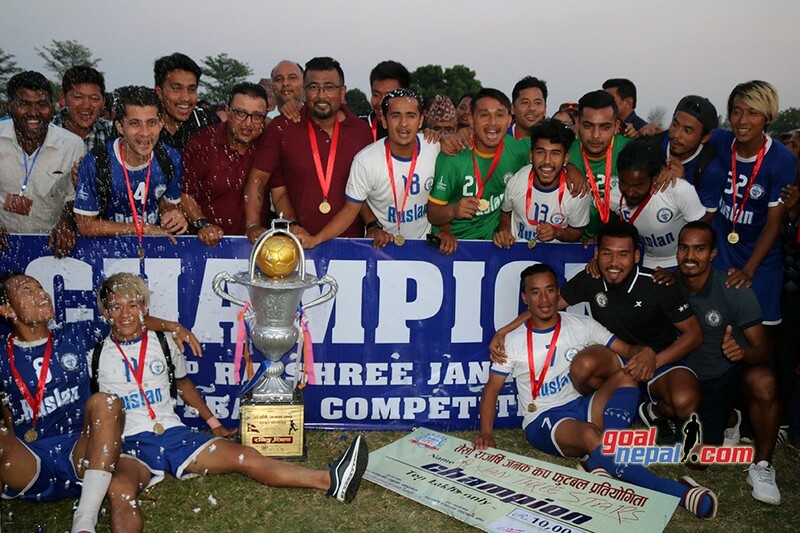 Runners-up Nepal Army received three lakh rupees. 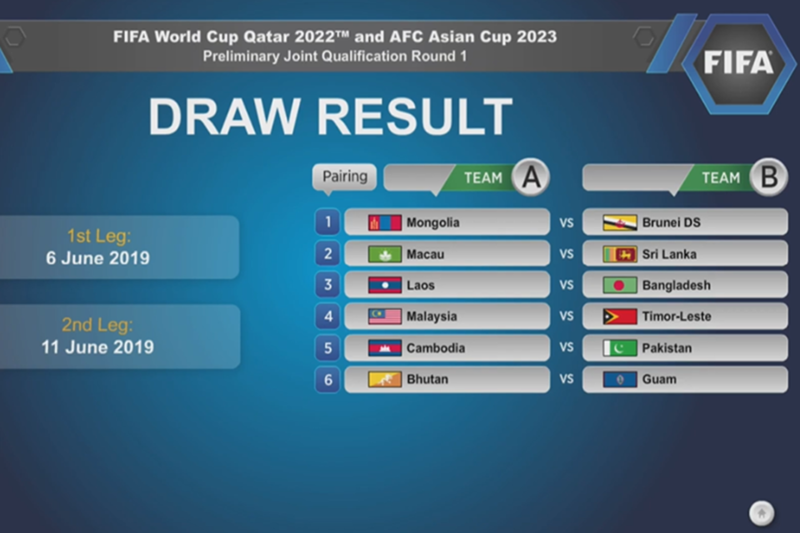 ** Both teams are entering pitch in FIFA tune. ** 1' Peeeeep!! Match kicks off. 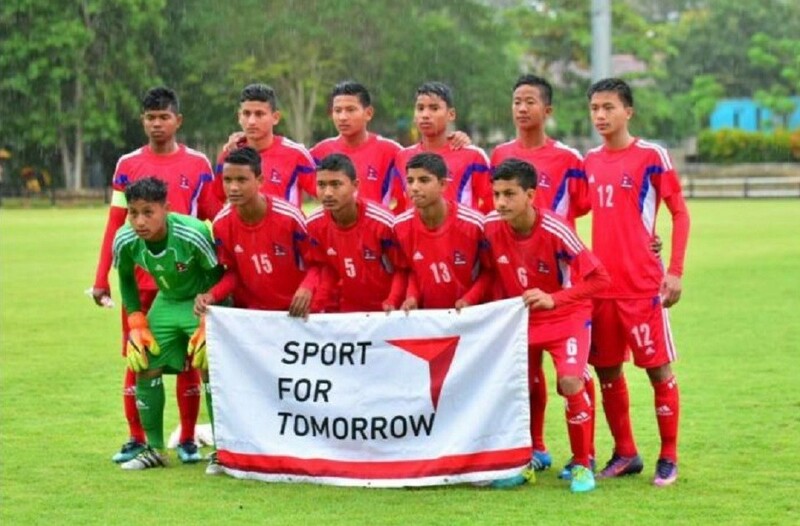 Nepal Army first eleven: Bikesh Kuthu(GK), Jitendra Karki, Bimal Panday, Dipak Gurung, Bikash Khawas, Santosh Tamang, Sesehang Limbu, Tanka Basnet, Suman Aryal, Susil Rai, Bharat Khawas(C). 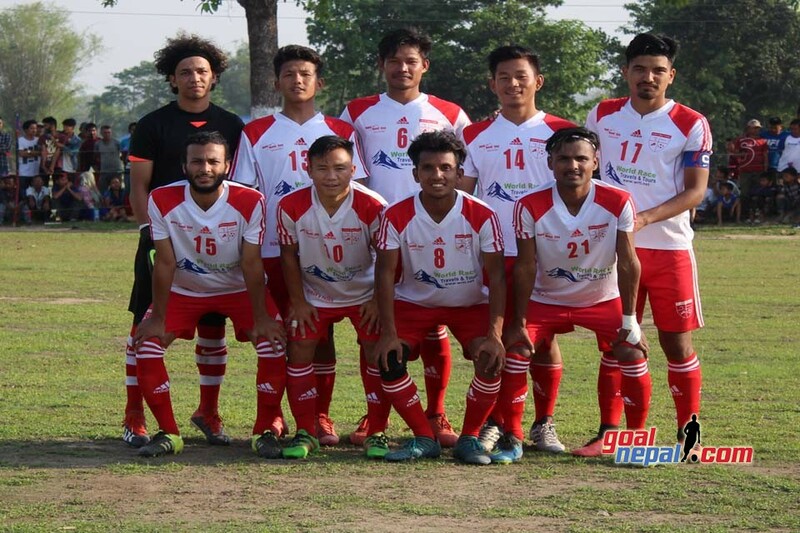 TSC first eleven: Alan Neupane(GK), Bikram Lama(C), Ananta Tamang, Adama Doumbla, Dinesh Rajbanshi, Ranjit Dhimal, Rupesh KC, Sunil Bal, Sushil Rai, Ranjan Bista, Fonama Fode. 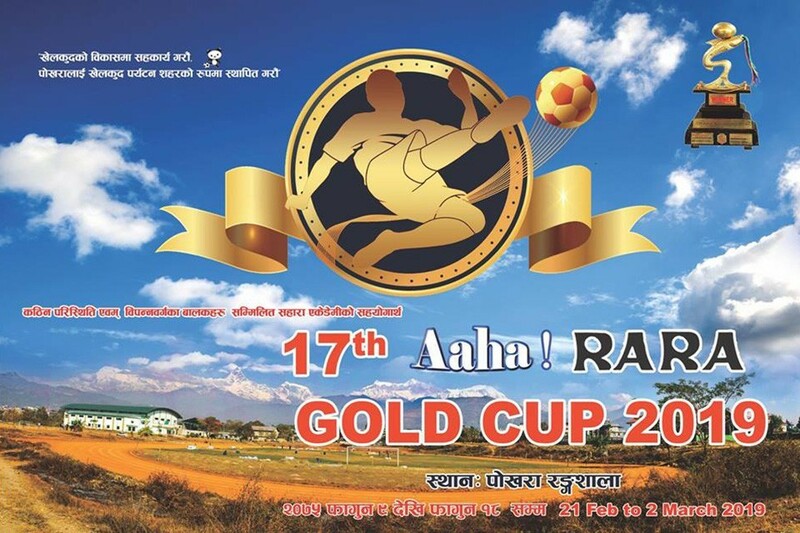 ** 1' Corner kick to Army, Santosh Tamang curls the ball, TSC goalie Alan Neupane hardly saves the ball. ** 5' Good match going on. We can see good turn out here at Simara Stadium. 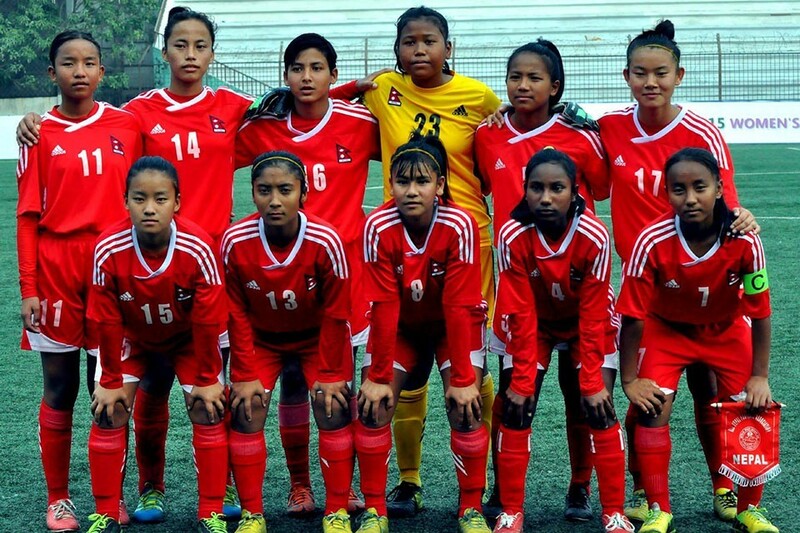 ** 10' Nepal Army has a good chance here. 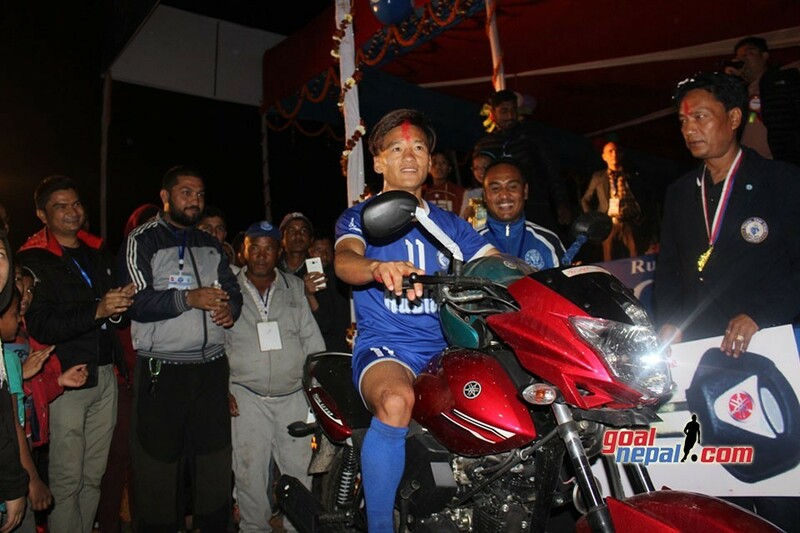 But Bikash Khawas's poor shot hits the side pole. 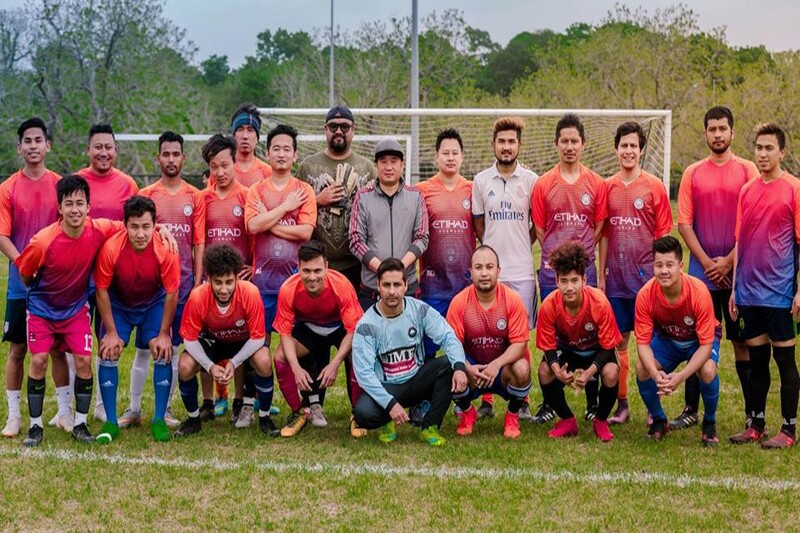 ** 14' Interesting match going on.Ranjan Bista squanders a lovely chance to score as his shot from inside D-box goes above the cross bar. 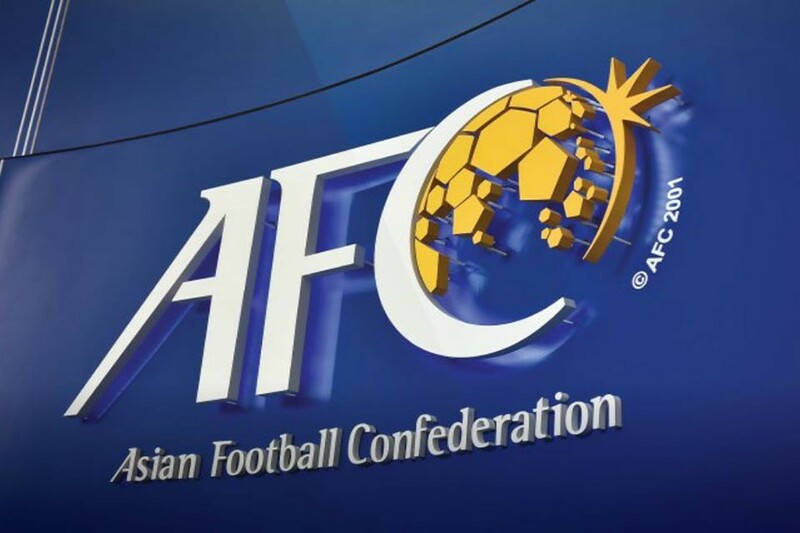 ** 16' Bharat Khawas' left footed shot goes out of the target. ** 18' Army goalie Bikesh Kuthu and Sushil Rai collide with each other. Medical team is called inside the pitch. 19' They look fine now. Match resumes. 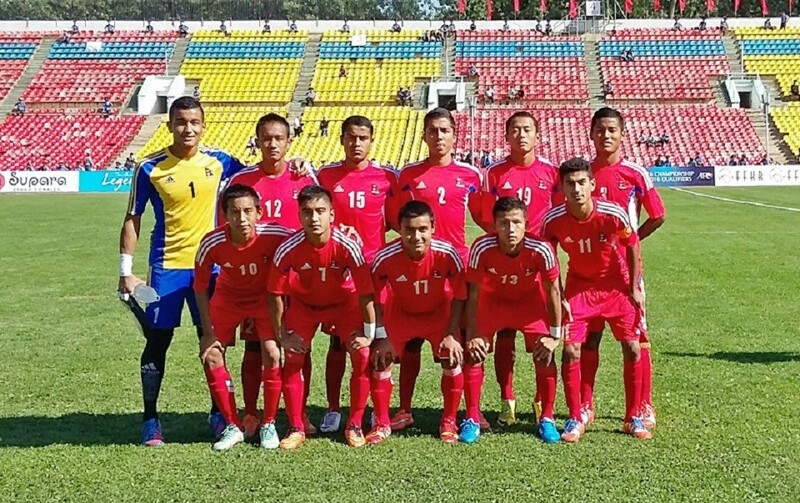 30' Thirty minutes gone, Nepal Army 0 Ruslan Three Star Club 0. ** 45' Two minutes of added time. ** 45+2' HALF TIME. 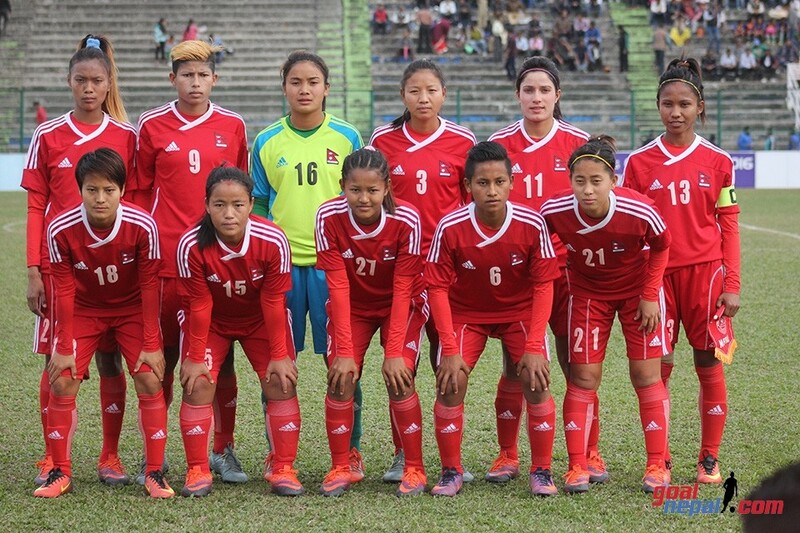 Nepal Army Club 0 Three Star Club 0. ** 46' Second half begins. 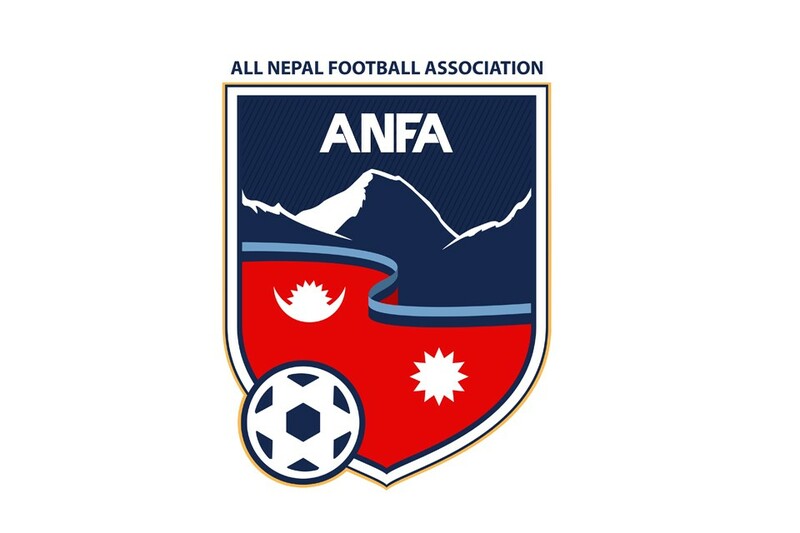 ** 47' Ranjan Bista shoots ball from inside box, Nepal Army goalie Bikesh Kuthu saves the ball, Ananta Tamang directs the rebounded ball inside the frame, goalie Bikesh Kuthu makes a good clearance. Three Star Club fails to utilize a golden opportunity. 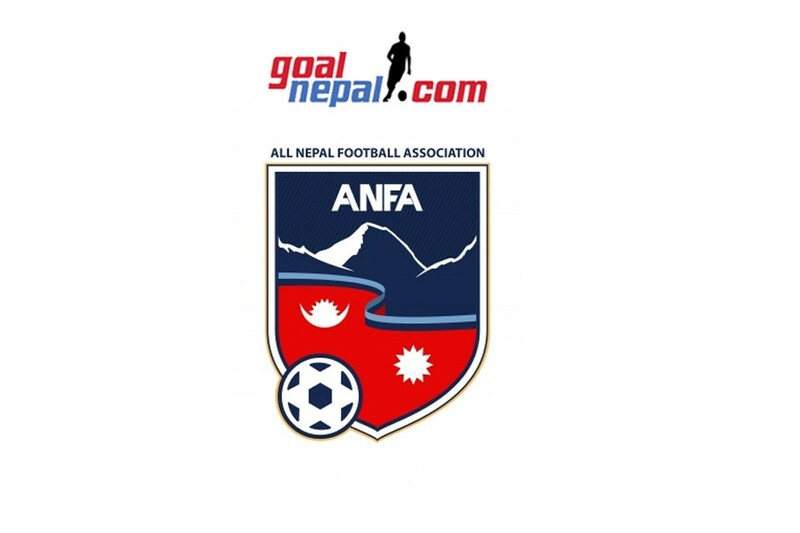 ** 52' Nepal Army defender Jitendra Karki is lying on the ground. 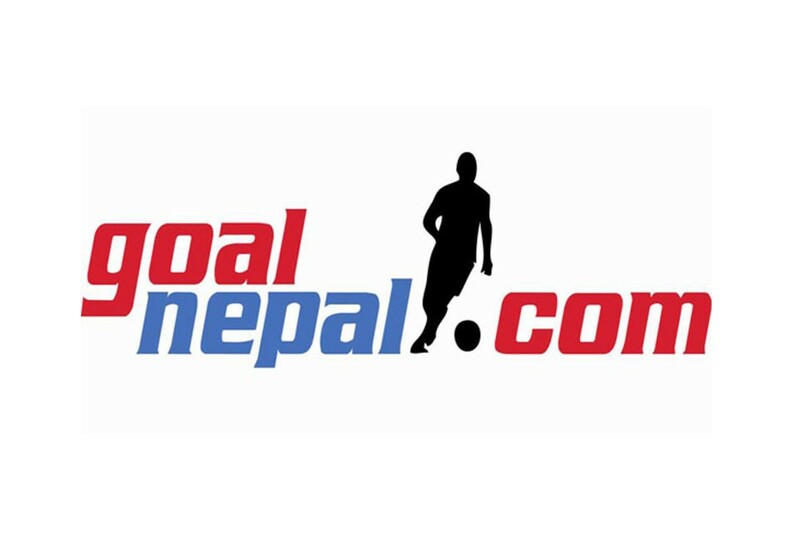 ** 53' Bikash Tamang replaces Jitendra Karki. ** 58' Three Star Club earns a free kick in a very good position, Ranjit Tamang takes the kick, not in proper direction. ** 59' Adama Doumbia fails to direct ball in frame. 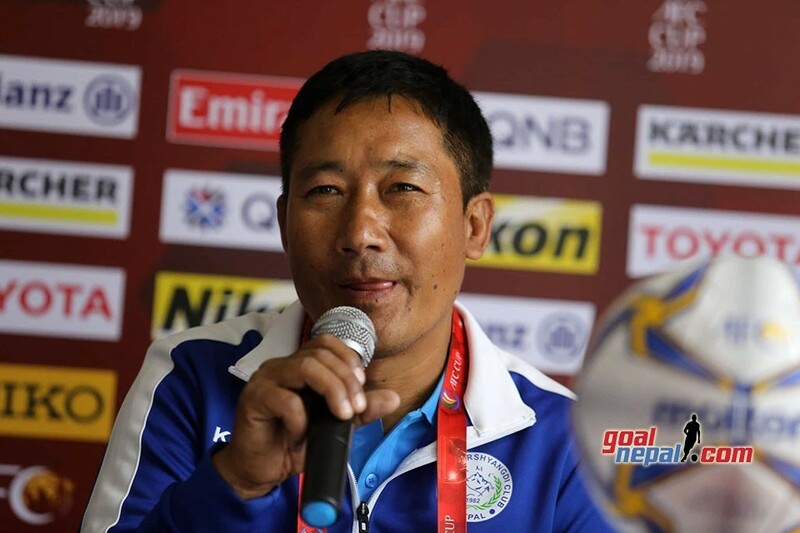 ** 61' corner kick to Three Star, Sunil Bal to Sushil Rai, Rupesh KC fails to deliver ball inside the post. ** 63' Counter move, Tanka Basnet moves with the ball, he fails to score in an empty post. ** 66' Tensed moment here. 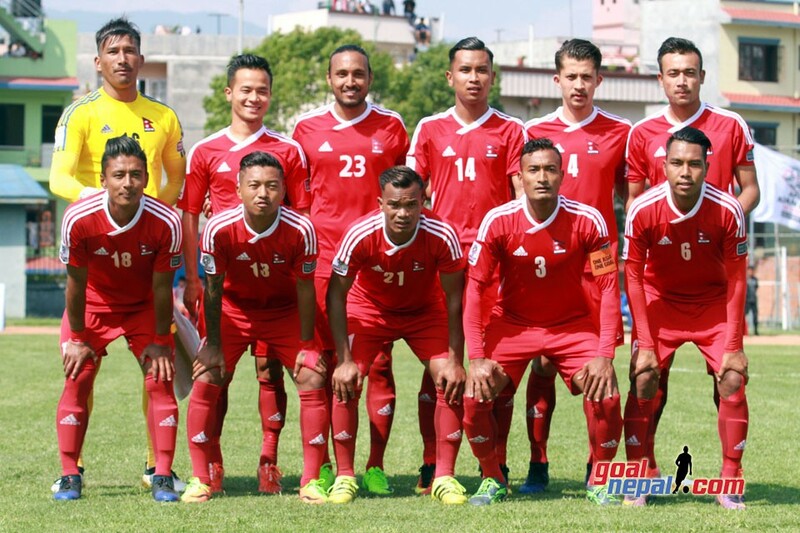 Nepal Army and Three Star Club players are involved in brawl. Not only players but two teams' too. The situation is under controlled now. ** match resumes. Bharat Khawas is yellow carded. 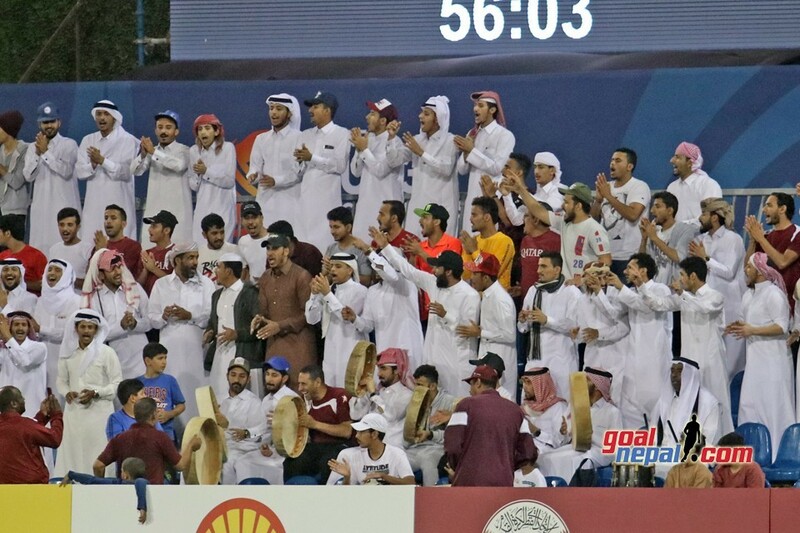 ** More than 7000 spectators are watching the match. Organizers have increased security here at Simara stadium. ** 71' Sunil Bal takes corner kick, Adama Doumbia's shot goes above the cross bar. 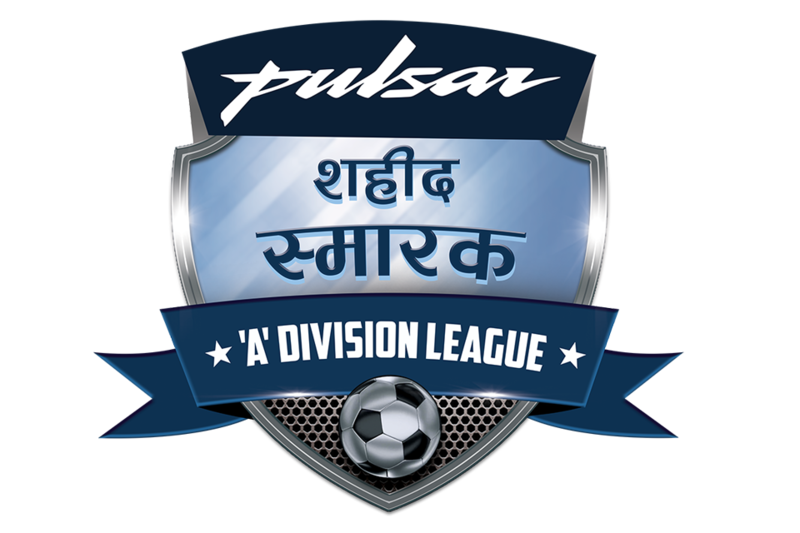 ** 79' Bibek Basnet substitutes Tanka Basnet. ** 80' Three Star Club goalie Alan Neupane makes a wonderful save. 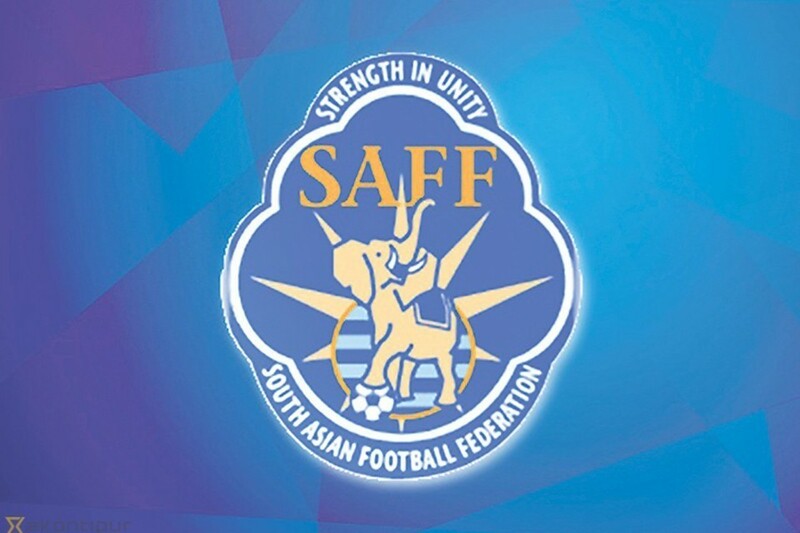 ** 81' Santosh Tamang shoots a poor free kick. 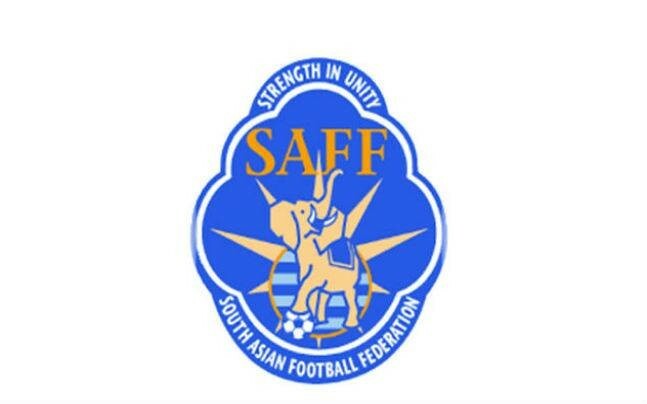 ** 85' Dinesh Rajbanshi's free kick ball is easily grabbed by Army goalie Bikesh Kuthu. ** 88' Suman Aryal is lying on the ground, Bharat Khawas looks furious. 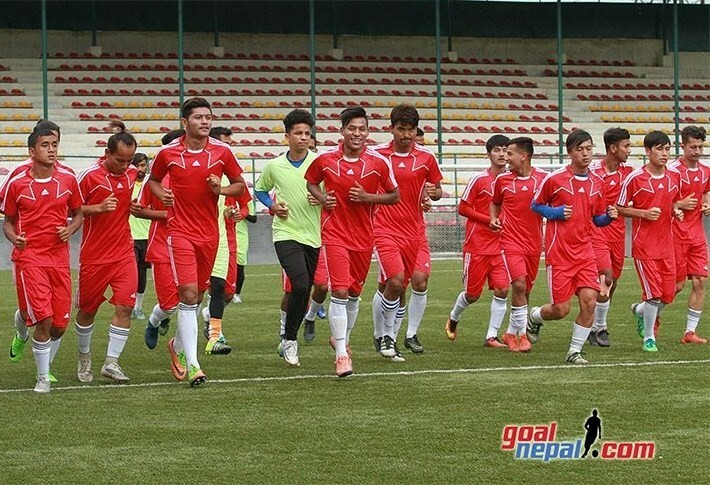 Army Coach Nabin Neupane is calming his boys down. 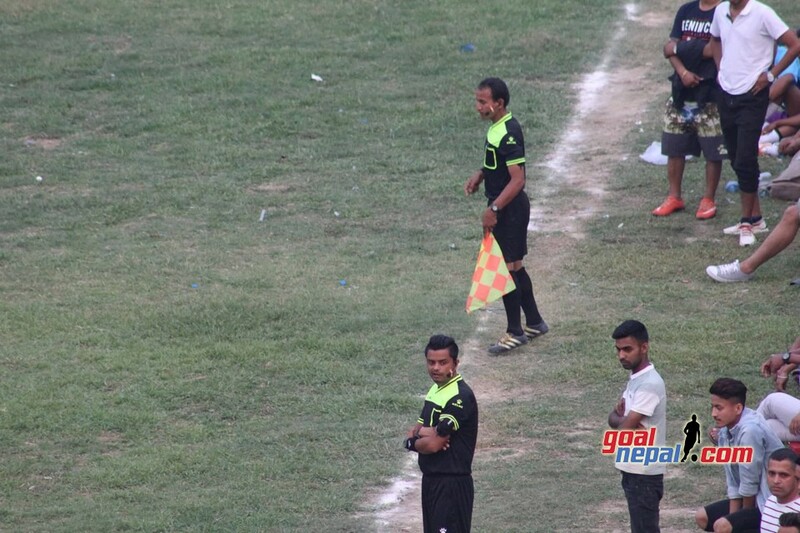 Ranjan Bista is yellow carded. ** Four minutes of added time. ** Regulation time ends. 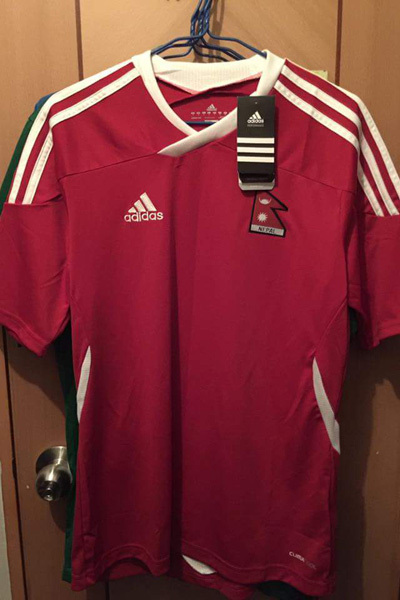 Nepal Army 0 Ruslan Three Star 0. No added extra time. 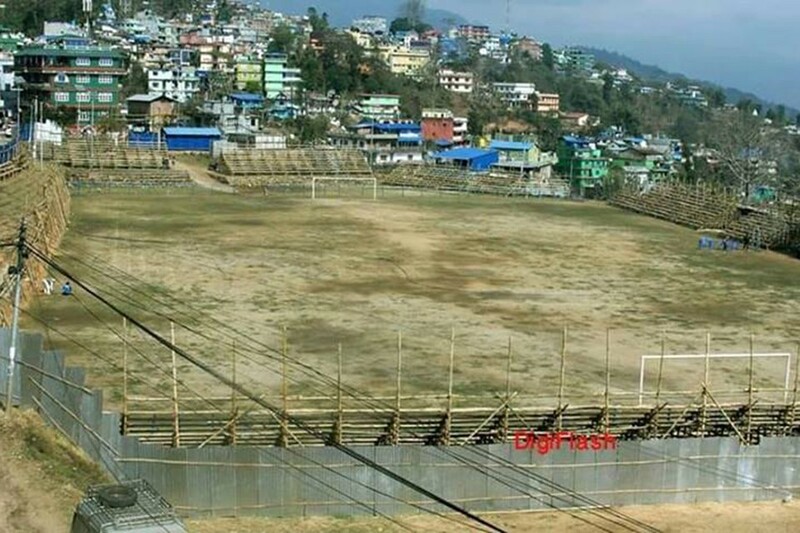 Now, Spot- Kick Battle will decide the match. Which team do you think will win the title? ** BREAKING: Three Star Club wins the title.